The name has nothing to do with animals, the Piggery is a luxury holiday cottage surrounded by beautiful countryside with stunning view! 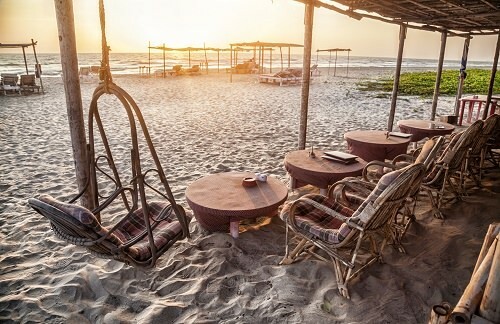 This sacred place is found on the fantastic beach of Goa. There are 4 houses and 3 tents that are meant for 26 people. The place runs like a small hotel so you can rent a private cottage with charming furnishing, and all the conveniences. Breathtaking orange sunsets and adorable pink sunrises will prompt you how to find a new spring of peace and happiness. And that`s not all! At the moment your foot touches the cashmere soft sand of the beach, you will forget all your troubles and become a new yourself.